Cullen, Countee. Color. New York, London: Harper & Brothers, 1925. Countee Cullen (1903 - 1946) grew up in Harlem and at the age of fifteen won a citywide poetry competition that brought him early recognition. By the time he graduated from New York University in 1925, he had won major literary prizes, published Color, his first book of poetry, and established himself as a nationally known poet. 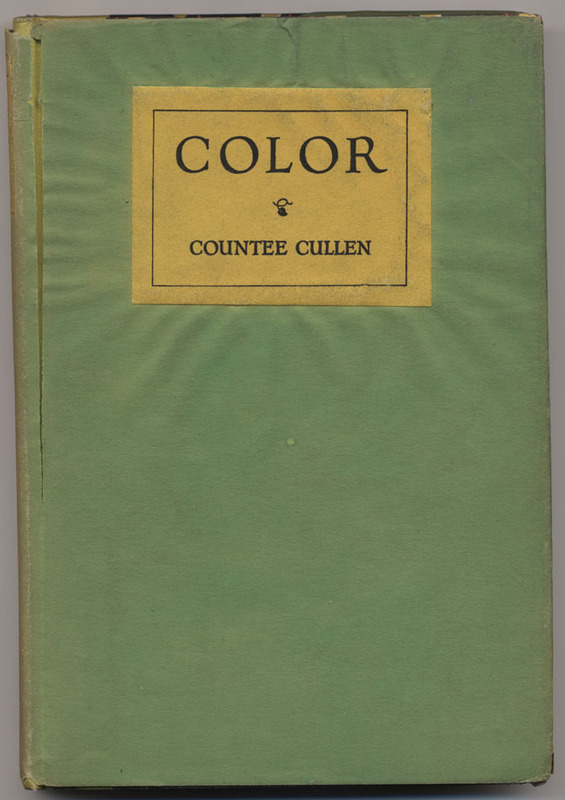 Cullen went on to work as an editor for Opportunity, the literary magazine of the National Urban League, which enabled him to call attention to the poetry of a number of African-American writers.